Superfurry Neptun’s Tears Beard Oil, one of ten scents in the FURRYDANDY beard oil range. A blend of two carrier oils that are Safflower seed and Castor oil which has resulted in a thicker than normal consistency beard oil. I like a thicker beard oil as it for me gives better results. NEPTUN’S TEARS – Aquatic, fresh and invigorating hints of the foam on the waves in a stormymediterranean Sea. Elegant, Noble, Distinguished. Slightly zesty and the right balance of herb. Ivan has a great talent for blending the scents, there are not many that can get this quality of scent, but Ivan certainly does. The scent blends are never basic, they are never over powering or too subtle. I recently awarded the ‘Golden Beard Award’ to five brands, up till now the award has been for products but I thought that these five deserved the award as a brand and Superfurry is one of them. This is because Ivan consistently produces incredible products with amazing scents. I have also tried a good selection of his products to be able to get a feel for the brand as a whole! 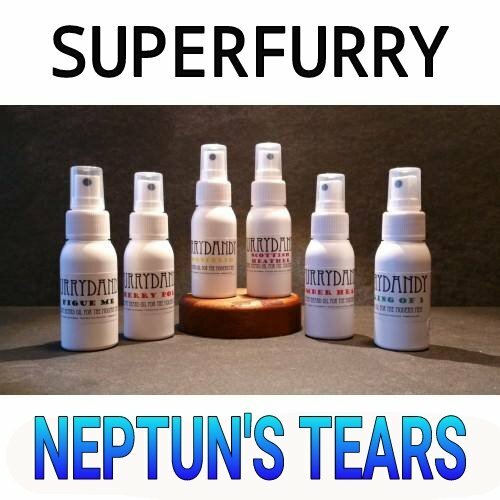 The Superfurry FURRYDANDY Neptun’s Tears Beard Oil comes in a 50ml bottle and costs €14.50 or €12.50 each if you purchase 4 or more from the Superfurry website.